In this fun LEGO DUPLO set, Lightning McQueen is practicing drifting on the desert track just outside Radiator Springs. 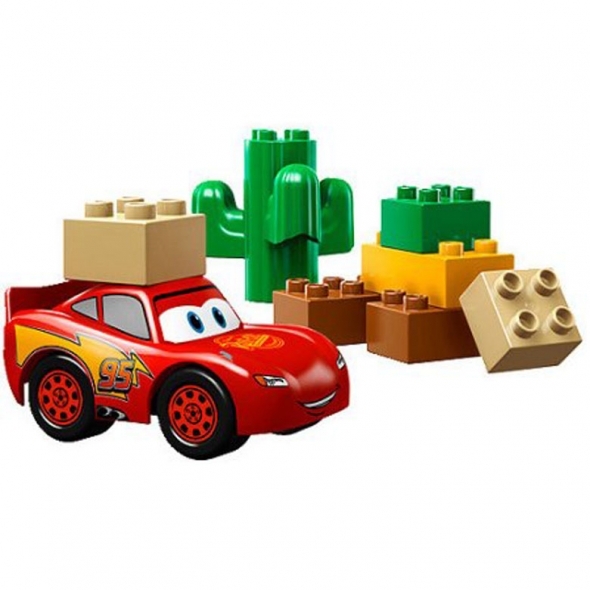 Now your little builder can assemble the new Lightning McQueen race car, cactus, checkered flag and DUPLO bricks to create a miniature version of the big race. The LEGO DUPLO Disney Pixar Car helps little hands build dexterity and nurtures creativity.